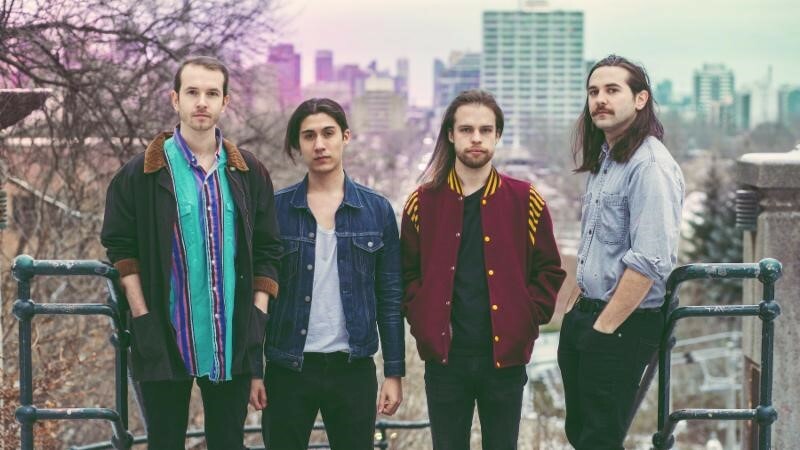 (Toronto, ON – January 30, 2019) – Psych-rock outfit Lost Cousins will release their debut full-length In Scenery this Friday, February 1. Today, via New Noise Magazine, they’re giving us a taste of the celestial LP ahead of its release. “Montreal” is about the urge to completely rearrange your life for someone you love, but knowing you’re not able to and having to explain why. “It’s about balancing commitments to yourself with those of others, and trying to find a happy medium,” says the band. One of the last songs written during a long winter in a home studio, “Montreal” expresses a desire to seek new surroundings and experiences. The video captures the day-to-day life and vibe of being around a band on the road and lets fans peer into the social elements of touring, such as driving and plain old hanging out, as well as showcasing the energy and integrity of live performances. Lost Cousins had a busy 2018 delivering new music to fans, including their recent singles, “Stay,” “Mindmaker”, “City Escape”, and “Trails”. The band was featured in Exclaim’s annual showcase Class of 2018, and this past October they performed some of the new tracks for Paste Magazine, check out that session here. The band also chatted with George Stroumboulopoulos on his CBC Radio show The Strombo Show, about the upcoming record and performed a few tracks live off the floor, listen to that episode here. Up next, the band will play a couple of shows in Canada, as well as returning to New York for The New Colossus Festival. Check out the dates below!